August 23, 2014  Uber is hiring David Plouffe, the mastermind of Obama's 2008 campaign, to power its own political strategy. What can a tech-savvy political animal offer a ride-sharing service? 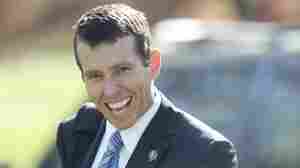 November 5, 2009  Tomorrow, we'll talk to President Obama's campaign manager, David Plouffe. If you have any questions for HIM, send them my way.